Word to your Mother (Tongue): Can Hip Hop Save Endangered Languages? Hip hop is not only linguistically innovative, it helps preserve indigenous languages via oral tradition. Critics might be quick to diss hip hop’s unique contribution to language innovation but perhaps they should chill out, considering everyone and their grandmothers are now regularly using terms like “bling,” “hood,” and “shout out”—all words and phrases that have their origins in hip hop slang. Mainstream views are still prevalent that hip hop music is not only a relatively new but unworthy form of musical expression, which should be frowned upon for promoting non-standard dialects of the language. On the contrary, hip hop music today is not only linguistically innovative―a number of universities already offer popular programs in hip hop linguistics―it’s also one of the most prominent forms of artistic expression for youth culture. The music and culture takes its place in a long and colorful global history of oral traditions. In medieval Wales, for example, it was common practice for bards to declaim verses, accompanied by a beat, just before a battle to fire up the troops—literally a battle rap. Similarly, West African griots are bardic equivalents who have long preserved their community’s history and culture through song. In fact, it has often been posited that hip hop’s African roots have come from this very tradition. In many other indigenous cultures around the world, oral tradition has been the main form of preserving that culture. Though for many communities, there has been a generational breakdown in carrying on these oral histories, often due to restrictive colonialist language policies of the past. At least in terms of linguistic diversity, there are now numerous examples of rap music in every major language of the world, with respected artists like MC Solaar—who has been lauded for his intricate language use and promotion of French culture—being compared to poetic heavyweights such as the French poet Paul Verlaine. It’s no surprise that youth cultures across the globe have taken to hip hop music as one of their preferred forms of expression: to tell their stories, to educate others and to participate in a popular culture that crosses cultural and linguistic lines. For indigenous communities in particular, where the community’s native languages may be endangered, community elders may have found it difficult to encourage younger generations to use their mother tongues actively. 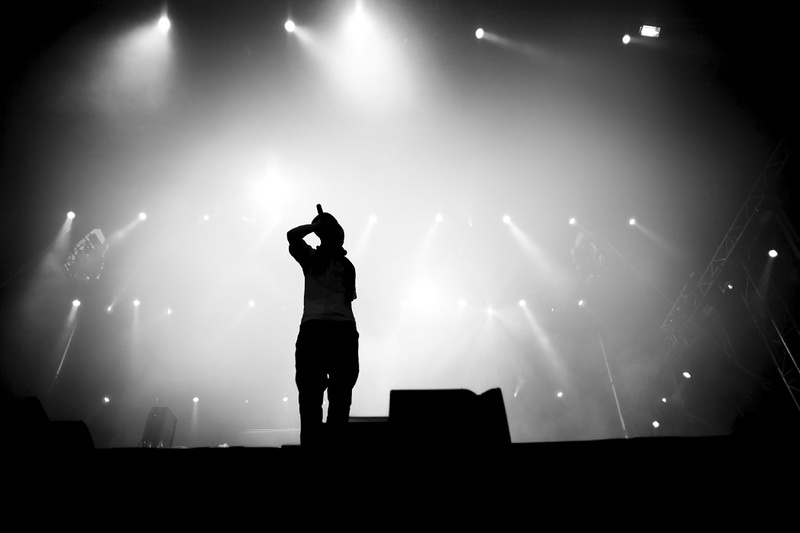 Hip hop has emerged to become a champion of not only preserving a group’s cultural history, but motivating younger generations to maintain the community’s language as living languages. Performing in a minority language in the face of opposition or ridicule is in line with hip hop’s focus on authenticity, according to Wayna Rap, a Bolivian hip hop group that raps in Aymara. While there are some detractors who express concerns that hip hop music will erase more traditional forms of music or poetry for an indigenous community, often it is the case that traditional styles are fused with hip hop into vibrant and exciting new forms. Sharlene Swartz’s 2008 linguistic study on Kwaito, a kind of indigenous South African music “culturally comparable” to hip hop, discusses how this natively developed popular music style with influence from hip hop has promoted a particularly South African identity through use of non-English local languages of the region from “isiZulu, isiXhosa, Sesotho and Afrikaans to tsotsitaal.” (Tsotsitaal is a local youth constructed vernacular). Ultimately, it means that more native languages are being actively used, remixed, and shared with the community, giving new life to languages at risk of language death. At the same time, the language gains a new visibility with non-speakers outside the community and with it, often a newfound respect. The cultural prize-winning Nuuk Posse is one such hip hop group that raps in Kalaallisut (or West Greenlandic), a language which in the past has been put under pressure by the colonial language of Danish. Hip hop is one increasingly popular style that has aligned the struggles of Welsh youth with other indigenous or minority identities around the world, such as with other Celtic communities. The study focuses on the hip hop group Tystion, who have a keen “awareness of affinities between rap and Welsh literary and social tradition” and employ this remixed form, a fusion of African-American hip hop influences with Celtic musical traditions to produce what is ultimately engaging pop music. The popularity of artists like these have overwhelmingly encouraged once solely English-speaking Welsh young people to learn and maintain Welsh as part of their Celtic heritage, revitalizing a language that was once endangered. So it seems that hip hop music is a lover, not a fighter of languages of the world, working to preserve linguistic and cultural diversity and stave off language death for another day. Maybe we should all check ourselves and give props to hip hop’s inventive linguistic impact on the English language. American Studies 111: Hip-Hop Culture Coming Soon To A Classroom Near You? 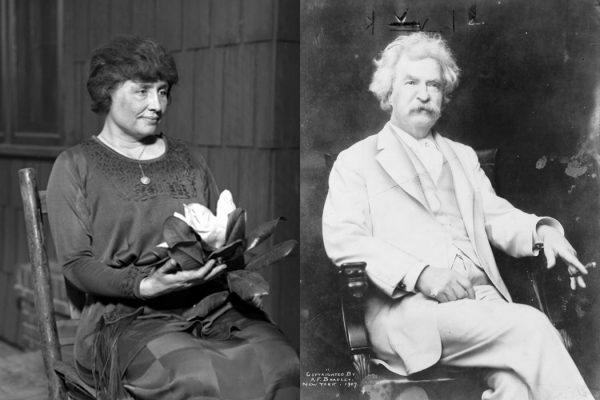 Helen Keller and Mark Twain's unusual friendship.